UK residents took to the polls on June 23rd to determine whether the UK should remain in the European Union. 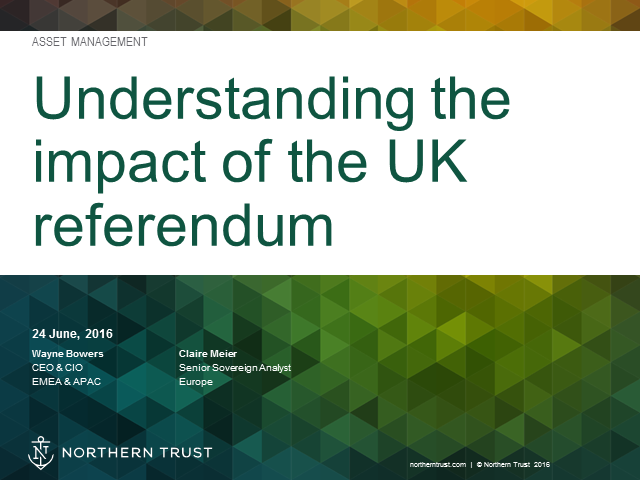 Our London based experts discussed the outcome of the referendum vote. They deciphered the results and looked past the headlines to understand not only the immediate market reaction, but also the longer-term response and potential impacts to investment portfolios.